What to do in Germany; German attractions and the best places to visit in Germany. Our son Simon stayed in the Art’otel Berlin Mitte for two nights in October 2012, redeeming his Club Carlson Reward Program points to pay for his stay. Here’s his review. “I wasn’t familiar with the Art’otel brand before but having previously stayed in Redizor Group hotels such as the Park Inn and Radisson I was satisfied with their quality and was keen to try their “design hotels” offshoot of which there are several branches in Berlin, fitting the city’s status as a worldwide contemporary arts hub. The Berlin Mitte Art’otel Berlin-Mitte is dedicated to German artist Georg Baselitz whose works, often demonstrating techniques such as wood cutting and dry etching, adorn the walls of each room. These were a great touch as I enjoyed these vibrant, abstract works compared to the safe choices found in many hotel rooms. My room at the Art’otel Berlin Mitte was clean, comfortable and spacious, although at times I felt it lacked the extra touches that often make the difference in 4-star hotels – the bathroom contained only a shower which was directed at a sloped section of the room’s floor rather than a separate cubicle or bathtub, and the room was slightly stuffy due to ineffective air conditioning and the windows only permitting a small gap for ventilation. Plus points for the room included a decent wi-fi signal (free of charge) and a quiet environment with no noisy guests. The location of the hotel was ideal for my purposes: only a few minutes’ walk from the main museum district (including the Museum Island), just across the river from the TV Tower, and well served by public transport with the U-Bahn station MÃ¤rkisches Museum right next to the hotel andÂ Heinrich-Heine-Strasse a five minute walk away. The latter station is handy for getting to the areas of Kreuzberg and NeukÃ¶lln which suited me as several of my friends and favourite Berlin shops, bars and clubs are in these areas, although I also discovered that it’s a manageable (30-45 minutes), picturesque and safe walk back from the likes of Hermannplatz when I decided to skip the train. All the hotel staff who I dealt with were friendly and courteous and although I did not require any further assistance or encounter any problems after checking in I have no doubt they’d have been up to the task. The lobby, reception and bar areas were spacious and informal. Click here to check availability and prices of the Art’otel Berlin Mitte. Read our Best of Berlin tips to help plan your trip. This entry was posted in Accommodation, Germany, Hotel Reviews and tagged Berlin on November 12, 2013 by Karen Bryan. After living in Germany for several years, I knew that each year I had numerous local festivals to look forward to. These Germans know how to organise a festival – after all, Germany is the home of Oktoberfest! And that means that every year across the country there is a huge range of weird and wonderful festivals, no matter what your interests, and even some festivals that you could never imagine. Here are ten German festivals to whet your appetite. TheÂ Landshut Wedding festival in Bavaria is centred on a massive historical pageant, celebrating the medieval era. Every four years a couple of thousand people dress up to recreate the wedding between Hedwig and George from 1475 and to go with the pageant there are jousting bouts and some impressive feasting. What would a list of German festivals be without a wine festival? However, this one’s a real trick because the name Wurstmarkt Â means “sausage market” – and yes, you’ll find sausages in abundance but the focus is actual on some great German wines. It takes place in Bad DÃ¼rkheim every September and is one of the largest wine festivals in the entire world, and one of the oldest too, running for nearly 600 years. Head to Germany in April and hope for wind – then the Grabenstetten Kite Festival will be at its peak. It’s a very social festival where everyone with any kind of kite is welcome to take part and after a day of kite flying there are fireworks to celebrate the occasion. Apparently they’re not only drinking beer in Bavaria: they’re also practising some finger wrestling! TheÂ Finger Wrestling Championships take place in Ohlstadt and the competitors get separated into weight categories, just like in real wrestling. One of my favourite spots in Germany is Heidelberg and I’d love someday to attend some events at the Heidelberg Castle Festival. It’s held in June and features music and theatre performances, with the music mostly being classical and opera. Various parts of the castle and its ruins are used as venues. In northern Germany, theÂ LÃ¼beck Dragonboat Festival is actually one of the largest dragonboat festivals in the world. It takes place in August (fortunately, so if you fall in it won’t be too freezing) and it recently celebrated its tenth anniversary. Beer, wine and whisky – German has it all. TheÂ Limburg Whisky Festival takes place in April each year and a very reasonable entry price includes numerous tastings. 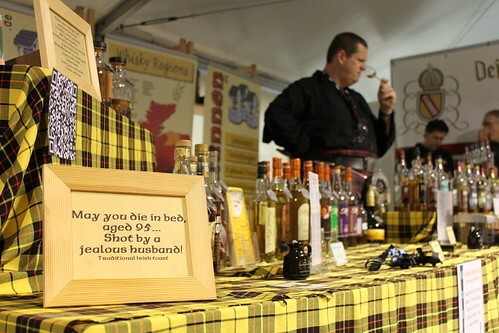 They focus (curiously) on Scotch single malt – one of the largest such festivals in the world. 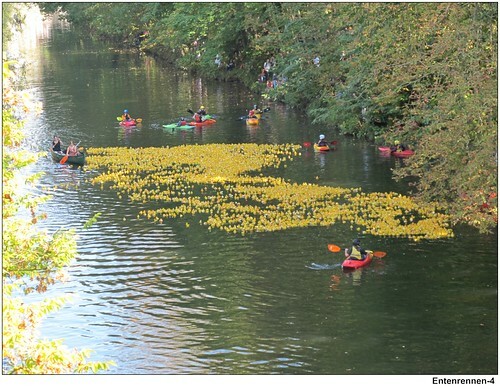 Who doesn’t enjoy a good duck race? InÂ TÃ¼bingen they get the plastic yellow ducks out every October and race them down the Neckar River and there are a whole swag of prizes if your duck is amongst the winners. Apparently last race there were around 6,000 ducks swimming! In MarkgrÃ¶ningen, theÂ SchÃ¤ferlauf (shepherd run)Â Festival takes place every August. It has historical roots back as far as 1651 but over the years has, of course, evolved from a celebration just for shepherds into a festival for everyone around, with all kinds of traditional cultural activities and music to enjoy. In one of Germany’s oldest cities, Trier, the Brot und Spiele (Bread and Games) festival takes place in late summer, and it is the largest Roman festival in Germany. There are all kinds of Roman-related events including performances of gladiator shows in the amphitheatre, with a different main play featuring each year. Amanda’s post has 25 travel tips on what ot do in Germany. This entry was posted in Events in Europe, Germany on March 28, 2013 by Amanda Kendle. Berlin is easily one of my all-time favourite cities to visit, with so much to see and do that even a month-long stay isn’t enough for me! And you can see why when you read this post on 25 museums in Berlin – just visiting museums alone will keep you busy for a long time, and that’s before you enjoy all the other great stuff that Berlin has to offer! The museums in Berlin vary widely, although my favourites definitely include those connected to relatively recent history – the Berlin Wall and the Cold War era. But it’s not just aÂ clichÃ©Â to say that in Berlin there is a museum to suit everybody’s interests – and these 25 are just a taste, as there are close to 200 museums in the German capital. Easily one of Berlin’s most impressive museums, the Pergamon MuseumÂ is on the Museuminsel (Museum Island), and is an amazing collection of artefacts from the ancient world. It includes life-size reconstructions of ancient buildings like the Pergamon Altar, with as much as possible recreated from the real remains. On my first visit to Berlin in 1990, I was lucky enough to experience the reunification of east and west – since then, the stories of those who tried to escape across the wall before the Wall fell in 1989 have been particularly fascinating to me (although some are very sad). The Haus am Checkpoint Charlie museum is the best place to hear stories and see artefacts related to Berlin Wall escape attempts, and a whole lot more. Berlin’s Museum of Photography (Museum fuer Fotografie) has photography exhibits ranging through the 19th to 21stÂ centuries and it Â includes a special exhibit on Helmut Newton. This entry was posted in Germany, Museums & Galleries in Europe and tagged Berlin on March 4, 2013 by Amanda Kendle. Dresden’s a real jewel of a city – one of those places that I think everybody should go to now that it’s easily accessible. Formerly a part of East Germany, Dresden is a couple of hours south of Berlin and close to the border with the Czech Republic– I visited it on a trip including Berlin and Prague, as it makes a very worthwhile stopover in between these two cities. Here are my travel tips for what to do in Dresden. 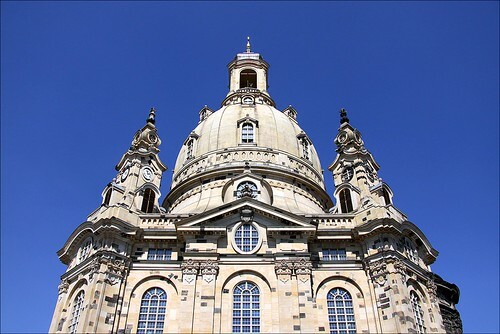 The Frauenkirche is the symbol of Dresden, for me. A church building in various incarnations had been on the site since the eleventh century until it was destroyed during Dresden firebombing of World War Two in 1945. It was eventually rebuilt (after German reunification) and the current reconstruction was completed in 2005, and it’s a magnificent place both inside and out. 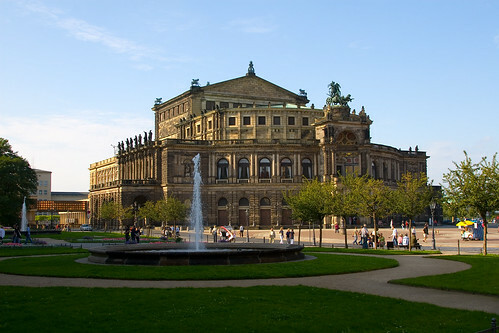 The Semperoper or Semper Opera building is one you can’t miss in Dresden. When I visited it jumped right out at me as it had been featured in the advertising of a German beer. It also suffered from the bombing of Dresden but was rebuilt a little sooner, and now features an excellent programme of opera and ballet. 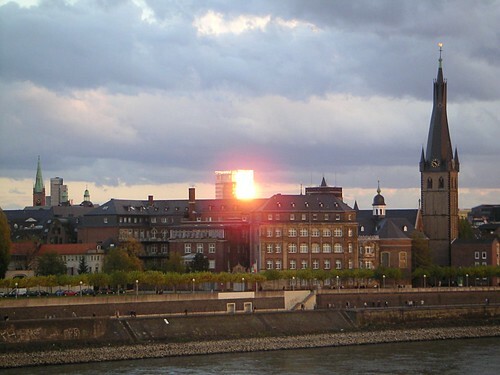 This entry was posted in Germany, Travel Tips on May 23, 2012 by Amanda Kendle. Ah, Germany. Everyone knows it’s there, but few people put it on the top of their travel list, preferring the standardÂ France, Italy or Greece, or going more exotic to eastern Europe or up to Scandinavia. And that’s a pity because there isÂ just so much to see and do in Germany. I lived there for two and a half years (and married a German, so we returnÂ regularly) and still feel like I’ve only scratched the surface. In case you need more convincing, here are 25 tips for what toÂ do in Germany to prove that there is definitely something for everyone. Some are very well-known activities likeÂ Oktoberfest in Munich or visiting the Berlin Wall remnants; others are well off the beaten tourist track; but all of themÂ are well worth a look. I could write a book about the Berlin Wall,Â but instead I’ll just heartily encourage you to take advantage of any Berlin Wall-related sightseeing spots in Berlin.Â The Eastside Gallery is a great way to see some of the famous artistic moments of the wall, and the Topography of TerrorÂ exhibition located at the old SS headquarters gives some scary history from those times. 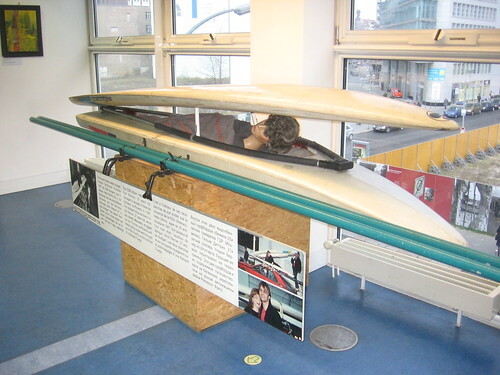 My favourite Berlin WallÂ attraction is probably the Haus am CheckpointÂ Charlie museum which includes incredible stories (and artefacts) about those who escaped or attempted to escape intoÂ the west. We’ve lots more tips on things to do in Berlin. 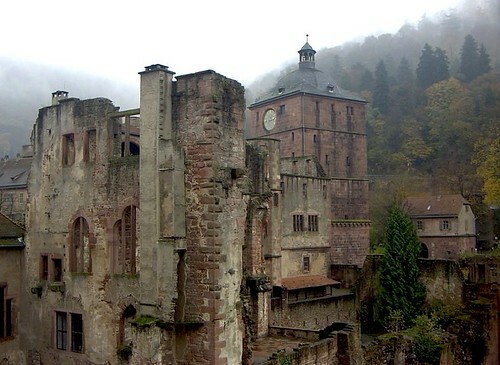 This entry was posted in Germany, Travel Tips on November 21, 2011 by Amanda Kendle. Cologne, or KÃ¶ln, as the locals call it, is one of my favourite German cities – not too big, not too small, lots of interesting stuff to see and do. 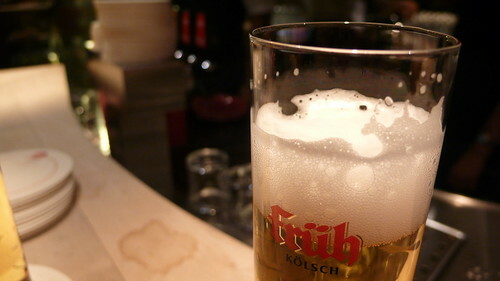 It also has its own unique culture within German, being famous (or sometimes infamous) for its strong dialect – although I can speak German fluently, “KÃ¶lsch” sounds almost like another language to me! This list of things to do in Cologne should enable you to get a taste for this special city in Germany. Easily the most impressive landmark in Cologne is the Cologne Cathedral or KÃ¶lner Dom. It’s a UNESCO-listed building dating back to the thirteenth century and it’s one of the largest gothic churches in Europe. Just looking around inside is impressive enough but if you’re feeling fit you can also climb the tower for views over the Rhine River and the city of Cologne. 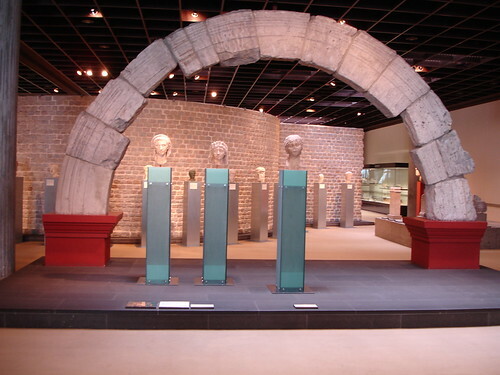 Dating back to the times of a Roman governor in Cologne, the Praetorium is an amazing array of Roman ruins found underneath the city – in fact, just under the Town Hall. You can also see parts of the old sewer system and archaeological finds. Of course, you also can’t forget the fact that Cologne lies on the Rhine River. If you cross the main bridge across the Rhine, you’ll find many thousands of padlocks have been attached to the bridge by couples hoping for good luck for their relationship. You can also cruise the Rhine to various destinations from Cologne using KD boats. In light of Cologne’s deep Roman ties, it’s no surprise that the Roman-Germanic Museum (RÃ¶misch-Germanisches Museum) is an impressive one, with numerous Roman artefacts from the Cologne area and along the Rhine River on display. The Praetorium mentioned above is adjacent to this museum. 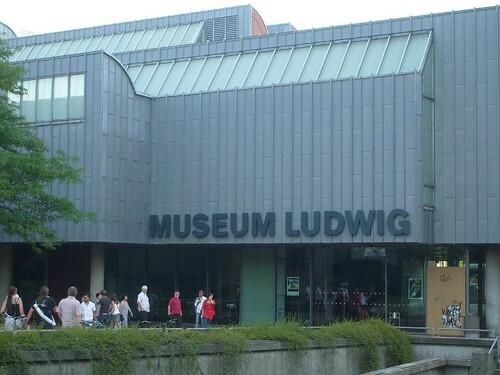 For art lovers, the Museum Ludwig, easily found in central Cologne, is a must visit. It’s most famous for its postmodern art collection but it’s actually got a bit of everything from the 20th century. For those who like their art a bit older, the Wallraf-Richartz-Museum features art from between the 1200s and 1800s; both of these museums feature both local German artists and numerous famous international artists, too. And finally, one museum which I’ve often been told of (given my well-known sweet tooth!) but never had the chance to visit, the Chocolate Museum (Schokolade Museum) in Cologne is trying to document the “cultural history of chocolate”. You can also see some great examples of how chocolate is made and importantly, there is a cafe offering (naturally enough) plenty of chocolate-based treats. Cologne is famous not only for its historical past but for its modern day culture too, and it’s well known as the gay capital of Germany. Every year, the Cologne Gay Pride parade takes place with up to a million people attending (in 2011, the parade will take place 1-3 July). However, the biggest parade of the year comes with Karneval. Usually held in February, Karneval can attract almost two million people with a very colorful street carnival, plenty of wild costumes, and all kinds of related celebrations. 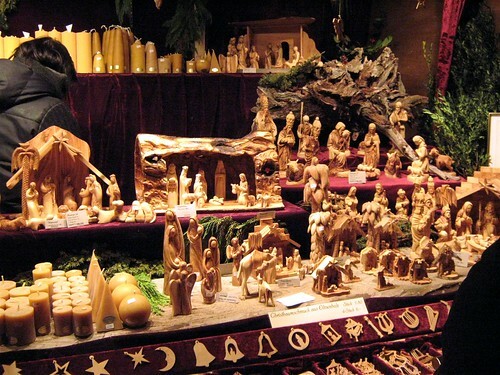 And in late November and December, Cologne is one of the best places to come to in Europe for Christmas markets. With no less than half a dozen separate markets, you can easily spend a long weekend there and still not enjoy the Gluhwein from every Christmas market! Last but not least, it’s important that you try the local German beer, named (like the dialect) KÃ¶lsch (and sometimes seen as Koelsch). There are several varieties of it, available everywhere and you’ll be well-respected if you drink the local beer rather than some other kind of German beer while in Cologne! Click here to find the lowest prices on Cologne Hotels using the HotelsCombined price comparison site. This entry was posted in Germany, Travel Tips on April 22, 2011 by Amanda Kendle. Like so many German cities, the Old Town or Altstadt is a particularly interesting part of town. DÃ¼sseldorf’s Old Town is famously known as “the longest bar in the world”: there are over 250 bars and coffee houses within just a square kilometre, so you’ll have no shortage of places to hang out at night. The Old Town was almost completely rebuilt after World War Two but in typical old style, so it looks quaint and charming. 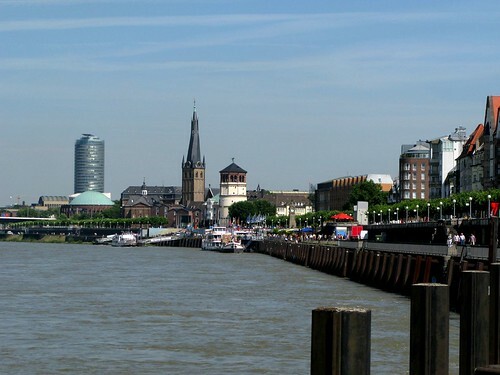 Many German towns and cities can be found on the Rhine, but the promenade where the river meets DÃ¼sseldorf is a particularly pretty walk and very popular with tourists. Inside the Palais Wittgenstein close to the centre of the Old Town, the Marionette Theatre puts on performances for adults and children alike. The theatre is small – less than 100 seats – so it’s an intimate performance space and certainly not always “just for kids”. The tallest building in Dusseldorf is the Rhine Tower, a 234 metre tower which includes a restaurant and viewing platform near its peak. As you’d expect, the views are fantastic, and on a clear day you can even see as far as the gorgeous Cologne Cathedral in the next city! The St. Lambertus Basilika is famous for its unusual twisted, winding tower – even after it was destroyed in the war, it was reconstructed in the same way. Many would consider this the symbol of the city. The church itself is pretty and there are numerous legends from the city’s history based here. 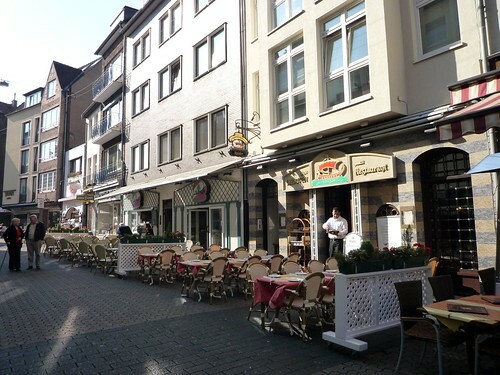 Koenigsallee is the place to go in Dusseldorf if you want to indulge in some retail therapy! Since Dusseldorf is famous for the Igedo Fashion Fair, it’s also home to a huge number of boutiques and luxury retail stories. It’s also a pretty place for a stroll as a canal runs down the middle. Housed in the Schloss Jagerhof, the Goethe Museum DÃ¼sseldorf contains all kinds of Goethe-related paraphernalia, but also has a section devoted to Faust. 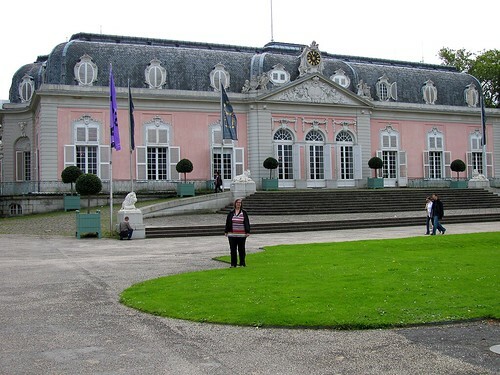 The Benrath Palace is a beautiful rococo palace, and the park that surrounds it complements it perfectly. At the moment they’re trying to get listing as a UNESCO Heritage site. As well as admiring the architecture and gardens, you can visit one of several museums housed within the palace buildings. For something a little different, the Japan Center features traditional Japanese markets, restaurants and gardens – for a little taste of Asia within Dusseldorf! As with many old cemetries in Germany, the Alter Golzheim Friedhof (Cemetery) in DÃ¼sseldorf is both a tranquil green space suited to a quiet stroll, as well as a historical landmark with the graves of quite a few famous German artists and architects. 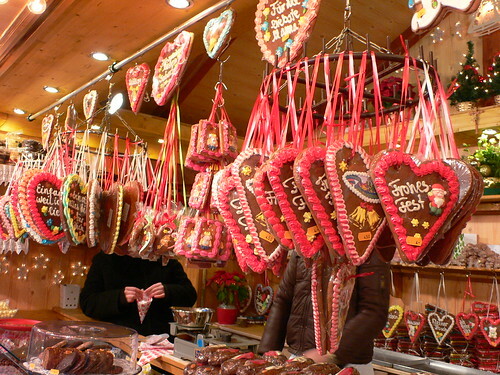 This entry was posted in Germany, Travel Tips on February 17, 2011 by Amanda Kendle. One of the more fascinating aspects of Germany are the many castles throughout the various regions of the country. Germany wasn’t united until the late 19th century, until then independent city states ruled various regions. Since the Rhine was a major trading route, many castles were set up along the river to collect taxes for those passing through and helping these small city states prosper. One of the biggest of these castles along the Rhine is Rheinfels castle in St Goar. Built in 1245, this castle was a menacing fortress which not only intimidated with its presence but also provided a strong defense when called upon. In 1692, it withstood a siege of thousands of French troops as it withstood a fierce attack. The castle employed many people and with its size and location, was tough to overtake. In 1797, the French Revolutionary Army finally overcame the castle with barely a fight and destroyed most of it leaving what we now see today. The castle, with its size and accommodations, is quite impressive even in its current state. Even its location is part of the attraction as it rises high above the Rhine. The castle sits high upon the hill of St Goar and is a 15 minute uphill hike or a few minutes ride on the tourist train to the castle entrance. Like many famous fairytale castles, the entrance includes a bridge and a moat which leads to the ticket office. From there, you can call in advance to book a tour or round up enough people to request a tour from an English or German (and other languages) guide. You can begin the tour of the castle with a stop in the museum to see a model of the castle during its glory years. The fortification of this castle was impressive and the museum details the strength of the castle. After its defeat by the French, it served as a quarry for many years. The castle has stood ever since and unlike much of Germany, wasn’t subject to bombing in WWII. Wandering deep inside the castle, you begin at the Medieval Castle Courtyard which served as a market and home for some servants. Livestock, bread, fruits and vegetables, and more were inside this courtyard. From there, wander through the castle garden and up to the highest lookout tower to see the view of the Rhine. Near the lookout tower were the soldier’s quarters, catapult areas, and slits in the tower for crossbows. The soldiers were kept close to the primary areas of defense so they could get to their posts at a moment’s notice. Other areas of the castle include a prison, slaughterhouse, a cellar, and even mine tunnels used to detonate explosives to unsuspecting invaders. After touring the castle and its impressive views of the Rhine, enjoy a walk through St Goar with its many shops and eateries. While the town is a fun stroll, the main attraction is one of the mightiest castles on the Rhine. While Rheinfels is no longer a functioning castle, its place in history and its significance along the Rhine is worth making a visit if you love German castles. If you want to explore more of the area, St Goar is just a few minutes boat ride from the town of Bacharach where you can explore more of the Romantic Rhine in a beautiful, German town. This entry was posted in Germany on January 10, 2011 by Jeremy Branham.